Do you feel like your mortgage payment is already dragging your finances under? That is a serious situation. If you feel like you are living from paycheck to paycheck, you need to reassess your financial activities. You need to look at your housing expenses in particular because this is the biggest cost that you are most likely spending on. According to an article published on Fortune.com, it seems that Americans are in a worse financial condition than the country of Greece. Although the country obviously owes a lot more than the average American, the debt-to-income ratio of the latter is much worse. Greece has a 177% debt-to-income (GDP) ratio while the average American worker has 370%! Just imagine how hard it will be for the average consumer to completely get out of debt. Since a home loan is the biggest debt that you will ever borrow because buying a house is the most expensive financial transaction that you can make in a lifetime. Naturally, this will eat up a huge percent of your income as you pay it back on a monthly basis. Although a mortgage payment is the biggest expense in your budget, it is also the one debt that you cannot default on. When this loan becomes delinquent, you might lose your house. When you can no longer pay off the debt, the bank will simply get the property and sell it to recover their losses. If you want to keep your house for a long time, you need to make sure you will never fall behind on your mortgage payments. But what if you are already struggling to meet your monthly mortgage payments? How can you hope to make ends meet? According to ZeroHedge.com, home buyers usually spend a huge amount of their money on housing. That leaves them with less on other purchases. The article discussed what is known as a home inflation. It refers to the rising cost of homeownership. 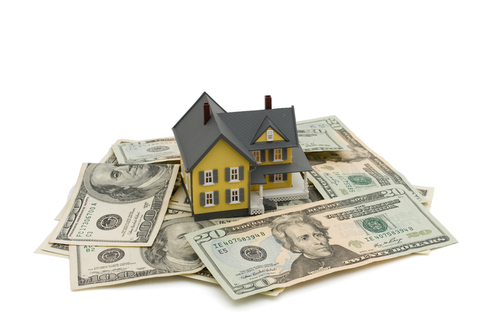 We all know that the expense associated with owning a house does not only involve the monthly mortgage payment. You also have to think about the upkeep of the property, the home insurance, property taxes, etc. When you add it all up, it can be quite costly. The combination can make paying off the loan tough very tough. Since it is not an option to skip a payment, here are three things that you can do to help you pay off your home loan. This is when you take out a new mortgage to pay for the old one. There are many things that you can do when you refinance. If the new mortgage rates are lower than what you have on your current loan, this is a chance for you to lower the interest on your new home loan. If you have better credit scores than the time when you applied for the original mortgage, this might be a great time to see if you can refinance for a lower interest rate. You can also change your loan from fixed rate to variable or vice versa. If you think it can help you get a lower interest, refinancing is the best way to do this. When you have a lower rate, you can lower your monthly payments. Not only that, you can opt to lengthen your payment term so the payment will be lower. If your monthly mortgage payment is also too high for your current budget, you can also opt to downsize. This is probably more complicated than refinancing but it will help you save a lot of money in the process. If you have a house that is bigger than what you really need, you can opt to sell it and buy a smaller house. With the equity of the old house, you do not have to borrow a lot of money on your mortgage. In fact, if you have enough equity, you might not need to borrow anything at all. A smaller house will also cost less in terms of utilities and upkeep. That will lower your house-related costs and will give you more room in your budget to spend on other important expenses. Use your house to earn. In case you do not want to sell your house, you can think of a way to earn from it. If you have a spare room, you can fix it up and have it rented via AirBNB or something similar. Or you can opt for something more permanent and get a roommate. What you earn from renting out an extra space can go to your mortgage payment each month. A garage, attic, or basement can work just as well all as any other room. In fact, you can even set up your garage or basement to have its own entrance. That way, you and your tenant can come and go without disturbing each other. Of course, you have to make sure that you will not violate the local zoning laws. Do your research before you finalize your decision. If things work out well, you can really earn a lot from this endeavor. You do not have to suffer financially if your mortgage payment is becoming too much of a burden for you. This debt takes a long time to repay. A lot can happen in between. When you start having children, that can increase your expenses and thus make it harder to cover everything if your income is not growing. Knowing these options will help you keep your house despite a more difficult financial position. Keeping your mortgage payment from ruining your finances takes some planning and preparation. Why suffer if you can arrange it so you will never compromise homeownership? Here are a couple of tips that you can implement in your life to make sure that your home loan will not ruin your finances. Keep your home-related expenses under 25% of your income. If you are earning $5,000 a month, you need to keep your home expenses at $1,250 max. This does not only include your mortgage payment. It also includes your utilities, taxes, and the regular home repairs that are needed to keep the home safe and comfortable. According to the data provided by PewTrusts.org, housing obligations eat up a big share of the income of consumers. You want to keep it to a minimum so it will not compromise the other expenses that you have to meet on a monthly basis. Know your options to pay off your debts. It is also important for you to know the options that you have to pay off your mortgage. You do not have to stick to your current loan terms if you are having a problem meeting it. According to the data provided by FTC.gov, you have a couple of options before you. It is possible to have your loan reinstated if you know that your financial difficulties is temporary. You also have the option to file for forbearance – which will either reduce your mortgage payments or suspend it temporarily. This will allow you to work on making your finances stronger so you can afford future home loan payments. Loan modification is also another option. This means you will negotiate with the bank to change something about the mortgage terms – to help make it more affordable. Choose the right option and solution based on what your finances can afford. Get rid of your other debts. Finally, you want to keep a lid on your other debts. If you have credit card debt, it is advisable that you get rid of this – or lower your use. If you cannot pay off the balance immediately, the effects of the high-interest rates will kick in. That will make you spend more than you should on that credit use. You do not want this compromising your mortgage payment each month so it is best to keep a lid on your other credit transactions.